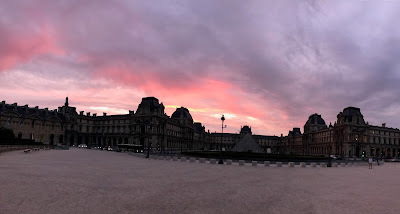 As my running days are mostly behind me, I am up early to power walk tuilleries, which opens before sunrise. I now mostly take the 8e for granted - the Louvre, I.M. Pei's striking pyramids, the Seine, place de la Concorde and always the Eiffel Tower reminding us it is no ordinary city. This morning is no different but for the sunrise.